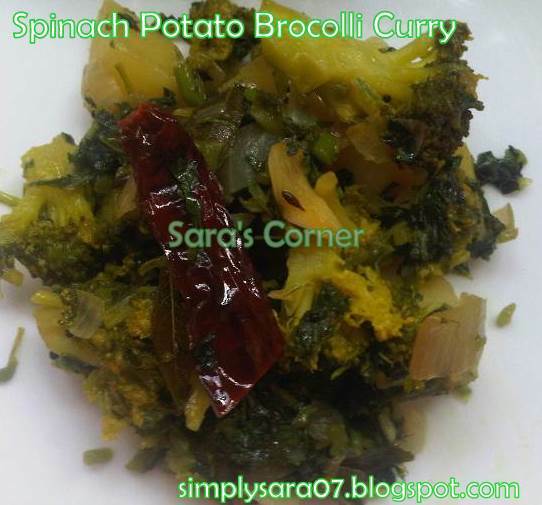 Palak Potato Brocolli Curry is very different and tasty sidedish for sambar rice, rasam rice or curd rice or even chapathi. Spinach/Palak or any greens - 1 bunch chopped. Put Brocolli in hot water and leave it for 5 mins. In a kadai, heat oil, add mustard and wait till it splutters. Add jeera and fry for a minute.Add chillies and curry leaves and saute. Add onion, ginger, garlic, a pinch of salt and fry till transparant. Now add potato and mix. Let it cook. Close a lid. When its almost done add palak and mix let it cook. Once done add brocolli, salt, turmeric and sprinkle little water. Let everything cook well and when its done, off the stove and add grated coconut if you are using. Mix and serve. I prepared with and without coconut. This recipe is going to Healthbox Ideas Brocolli by Kalyani and Vardhini. So healthy and innovative combination.. looks amazing.. lovely preparation dear !! Deadly yummy Saras! Love this kind of kadambam curry very much! I am yet to cook broccoli, love this simple version. healthy one...really new to me! will try it soon! 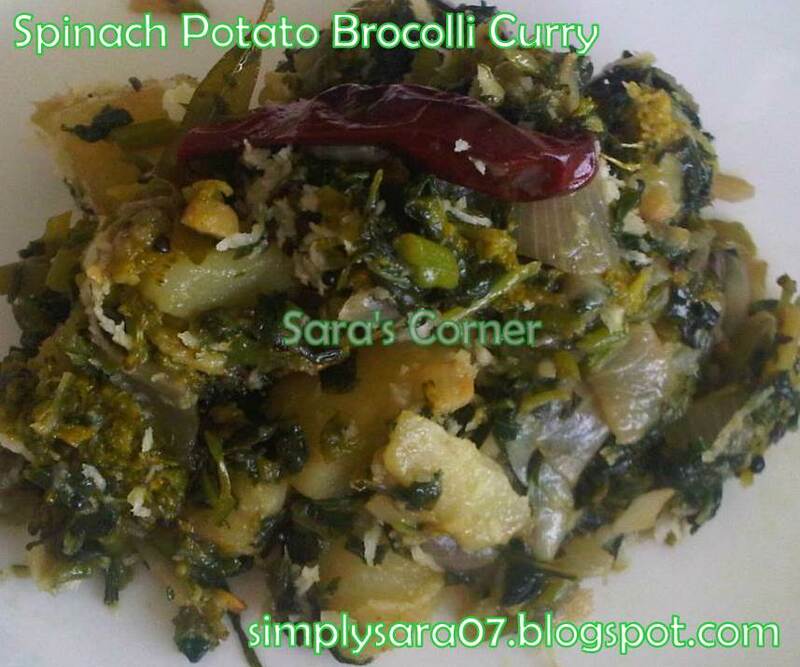 Wat a healthy and wonderful looking curry..
2 healthy and one favorite veggie,love the combo ,gr8 for kids too! Simple and tasty. Love the combo of broccoli and spinach :). Thanks for linking to the event dear.